Have you ever taken a moment to think about how your vehicle's tires are made? Probably not, yet doing so may help you better understand what goes into our tire repair service. More than just a few inches of thick rubber, your tires are actually made from layer after layer of fabric cords called plies. These plies sit atop steel belts that help to reinforce both the sidewall and the treads, which is formed from several layers of synthetic rubber. Steel cable loops called beads give the tire the strength needed to stay seated on the rim. Once those components are placed together, they are run through a curing machine which cuts the tread pattern and bonds all the components together. To learn more about tires, including tire repair cost, visit Meineke #381 in Kingston, NY today. You know that you need your tires in good working order to drive your vehicle. So, perhaps a better question than why your tires are important is why you should maintain them before you're forced into frantically searching for "flat tire repair near me." The average car weighs over 4,000 pounds, which is a lot of weight sitting on your tires. Differences in inflation between tires causes your vehicle's weight to be distributed unevenly. Over time, that uneven weight distribution can lead to issues with your vehicle's balance, which then affects its safety and performance. Thus, following a routine rotation service is vital. You'll find such a service here at Meineke #381 in Kingston, NY. What are some signs that you need your tires or wheels repaired? Some may seem fairly obvious. A puncture or blowout will typically have you on the computer or phone researching all of your "flat tire repair near me" options. However, there are other, less subtle signs that your wheels or tires are in need of service. One may be if you experience issues with your vehicle's performance, such as a noticeable shaking in the steering wheel or the entire vehicle whenever you go above 40 mph. Another may be uneven wear across the tread of each of your vehicle's tires. A quick balance or tire rotation service done at Meineke #381 in Kingston, NY can help you avoid ending up getting stranded on the side of the road. Have you ever noticed how well your vehicle's different component systems work together? Unfortunately, they tend to deteriorate together, as well. You'd be amazed at how trying to avoid a simple tire repair cost can result in extensive damage to your vehicle. That's because unbalanced tires lead to increased wear on certain wheels as they try to support extra weight. Not only does this speed up their wear, but it also can affect your vehicle's suspension as it tries to compensate for this imbalance. Rather than allowing this to happen, research your "tire repair near me" options to find Meineke #381 in Kingston, NY. Many of our customers ask themselves, "When should I visit a tire repair shop near me?" The answer depends on the age and current condition of your tires, your personal driving habits, and the condition of your local roadways. Individuals who drive on poorly paved and broken roadways will have to replace their tires earlier than most drivers. If you drive long distances at relatively high speeds, you may need to have your tires inspected once or twice yearly. If your tires are over ten-years-old, it is definitely time to consider a replacement. Get in touch with our Kingston, NY, Meineke #381 store if you have specific questions. If you're in need of new tires, you probably have concerns about the actual cost of tire replacement. While worn tires increase your risk of performance and stability issues on the road, that doesn't make affording new tires any easier. Fortunately, we at Meineke in Kingston, NY can. 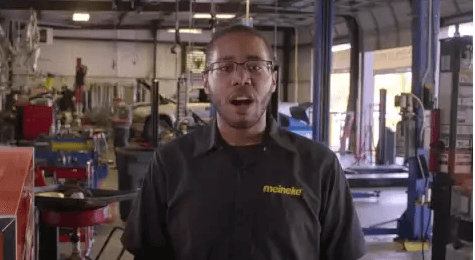 Once you have your new tires, be sure to make frequent visit to our Meineke #381 web page. We frequently post repair and tire rotation coupons there. This is our way of rewarding the trust you place in us.